France’s famous Croisette is currently playing host to the 2017 Cannes Film Festival – kicking off today, May 17th, the annual ceremony will continue through until May 28th – and the folks over at Bloody Disgusting have spied an unexpected guest: Mike Mignola’s cigar-chomping demon. 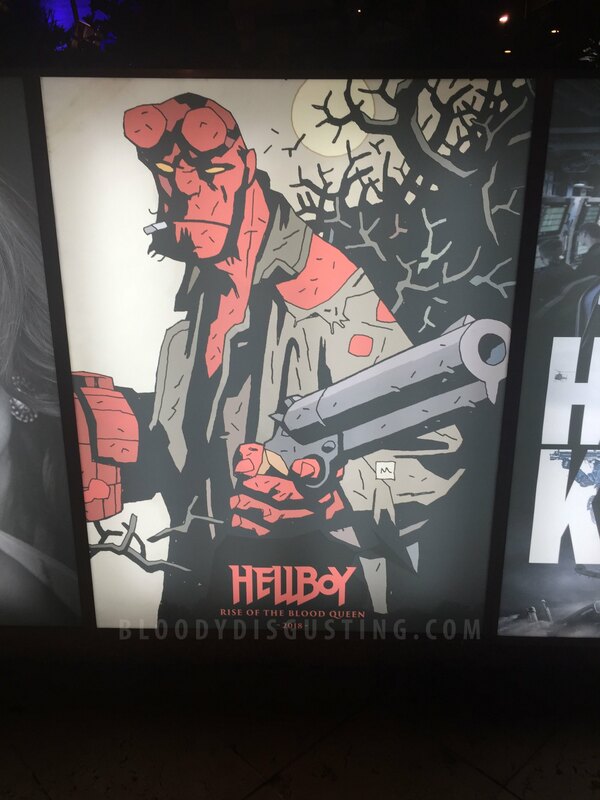 That’s right, the first artwork for Neil Marshall’s reboot Hellboy: Rise of the Blood Queen has been spotted, and it points to a theatrical release in 2018. Stranger Things star David Harbour has signed on to play the otherworldly anti-hero, and renown concept artist BossLogic has wasted no time in imagining the actor as Mignola’s demonic badass. 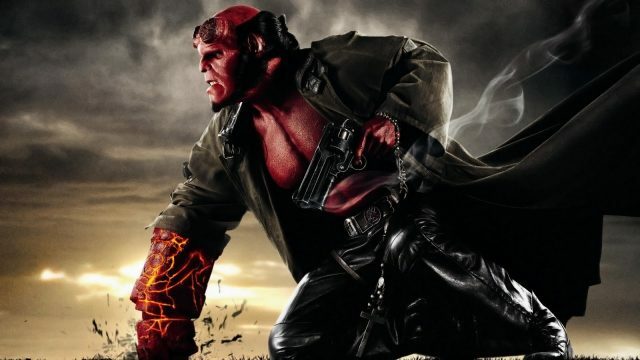 Guillermo del Toro and Ron Perlman famously summoned Hellboy onto the silver screen back in 2004. A modest box office cume and an impassioned fanbase was enough to spawn a direct sequel, entitled The Golden Army, four years later, but after a long, meandering saga of false starts and disappointments, del Toro and Perlman officially walked away from the property earlier this year. But there’s still life in the old demon yet, and though production is yet to commence on Rise of the Blood Queen, the fact that Mike Mignola is already producing artwork to drum up attention leads us to believe that it shouldn’t be too long before the cameras are rolling in anticipation of that tentative 2018 release window.